VICE Caught in Minimum Wage Twitterstorm - Do I Need To Be Paid Minimum Wage As An Apprentice? VICE media, specialists in gonzo journalism becoming involved in the truly bizarre, became the subject of controversy themselves after advertising an apprenticeship paying only £2.73 per hour...in London. Generally, people love the 'coolness' that vice has to offer and working as a vice writer for some, is the holy grail of edgy occupations. However, this also means actually getting to work there is highly competitive - enter the underpaying apprenticeship. Government backed website DV8 Apprenticeships advertised two VICE apprenticeships paying £109.20 per week, £22 a day, £2.73 an hour or beans-on-toast –and-no-hot-water for an entire year, in London. Minimum wage in the UK is now set at £6.50 per hour - £250 per week if working a full 40-hour week. However, the 'living wage' for London, which employers are encouraged to pay, is £9.15 per hour – this allows people working full time to actually rent a flat in London and take transport and maybe even sometimes have a good time. However, VICE were outraged on discovering that this what was being advertised via the DV8 site. They are in fact offering £11,400 for the year, with the job ad now corrected. This is double what the ad suggested, but it's still not up to scratch even with the National Minimum Wage, never mind the London living wage. If apprentices are expected to work 40-hour weeks, they will make only £5.48 per hour. "In factual terms, this is what we've always said we'd be paying our apprentices, and it's approximately double the government's minimum salary for apprentices"
"The salary for the VICE apprenticeships on DV8's site were incorrectly posted against the minimum wage requirement. VICE will be paying its apprentices nearly double the minimum legal requirement with a salary of £11,400 to cover 4 days / week training at VICE UK's office and one day / week in college . . . This is in keeping with VICE's ethos to provide meaningful opportunities to young people from a diverse range of backgrounds trying to get into full time work." 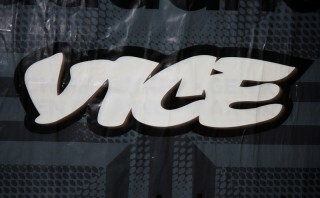 So, why can VICE pay lower than the minimum wage? An employer hiring an apprentice must pay the Apprenticeship National Minimum Wage - set at £2.73 an hour. However, this rate only applies to apprentices ages between 16-18 and also those aged 19 or over who are in their first year of work. All other apprentices must be paid national minimum wage. What hours should I be paid for as an apprentice? Should I get paid for holidays as an apprentice? You must get at least 20 days paid holiday per year, in addition to bank holidays. Should I be taxed as an apprentice? It is a common myth that apprentices do not need to pay tax – this is not the case. Apprentices are employees, and are taxed as such. Apprentices will pay tax and National Insurance Contributions (NICs). Usually you will be taxed through the Pay As You Earn (PAYE) system. This means you're your tax will be deducted straight from your pay and you will not need to worry about filling out any forms. How much you will be taxed will depend on how much you earn. This is the main reason why many people believe apprentices are not taxed, as if you earn less than your personal tax-free allowance, you will not pay any tax. Find out more about how much tax you might need to pay on the HMRC website here.
" we would urge London employers to look to move towards paying apprentices the London Living Wage." Hopefully VICE will take their advice, especially advertising themselves with the bio: "We suk less than most other companies". Here at Unlock the law we are pretty convinced that we also suk less than other companies – we give you all the legal help your brain can absorb absolutely free and if you ever need a lawyer, we can recommend the best people for the job. Also, if you ever come to work for us we promise to pay you at least the minimum wage - we think that makes us pretty cool and edgy too.